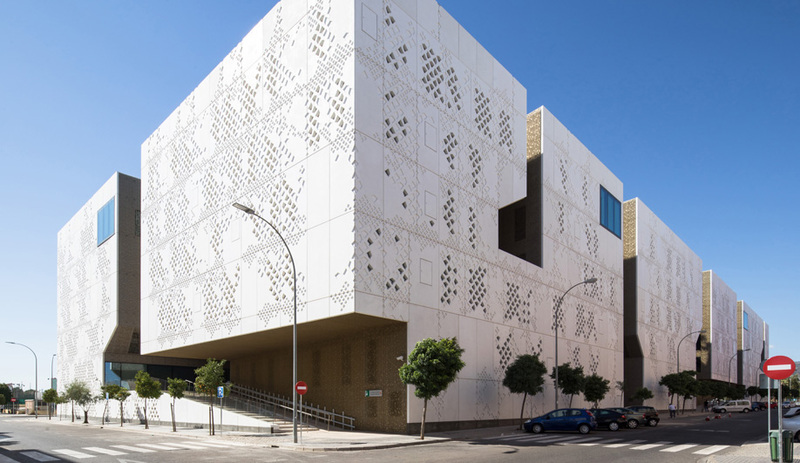 Córdoba, Spain, is steeped in ancient Arabic architecture, and the city’s new Palace of Justice courthouse manages to both reference its historic surroundings and add a contemporary vernacular to the landscape. 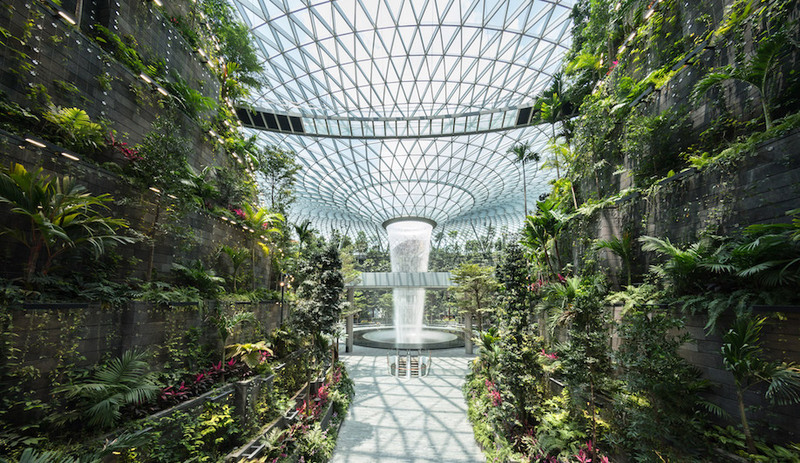 The complex’s outward appearance was informed by a need for security and privacy – the 48,000-square-metre building contains courtrooms, judges’ chambers, private offices and a prison – but, as a public centre, it also needed to be open and inviting. 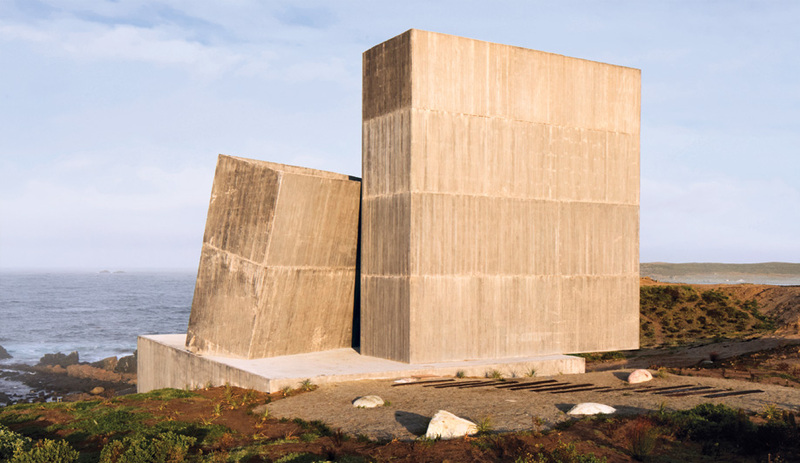 To help mitigate solar heat gain in a city that sees summer temperatures reach 37 degrees Celsius, white was chosen for the concrete panels. 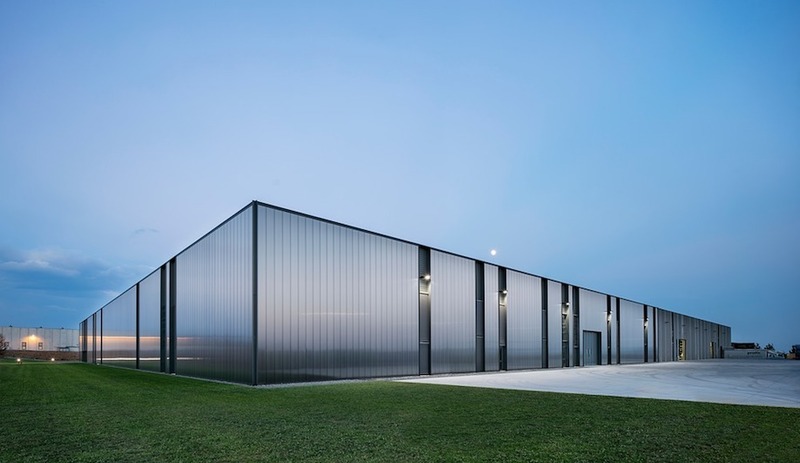 To address the dual interests, Dutch firm Mecanoo worked with engineers at Ayesa to devise a cladding system of matte white, glass-reinforced concrete distinguished by perforations and embossments. “A lot of design tricks went into these,” says associate partner Nuno Fontarra of the seemingly random motifs. 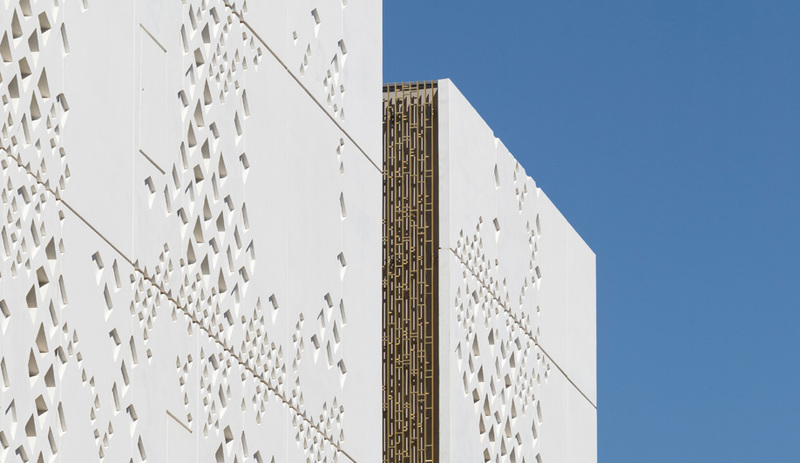 Forty patterns, influenced by those found on historic mosques in the city, are repeated in different orientations across 1,200 pre-cast panels fabricated by Prehorquisa. Gold-finished aluminum screens front the windows that face interior courtyards. The metal gives contrast to the matte white concrete. 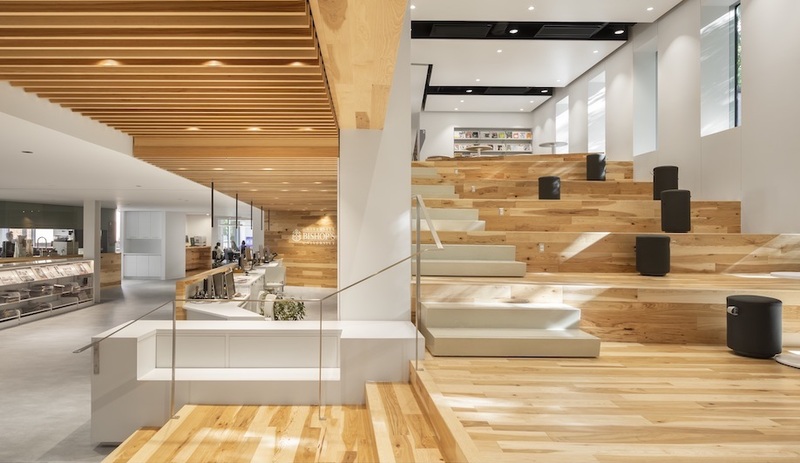 The cut-outs filter light into the interior, but, from the street, views are effectively concealed. “It’s a very urban site; the neighbours are very close,” notes Fontarra. 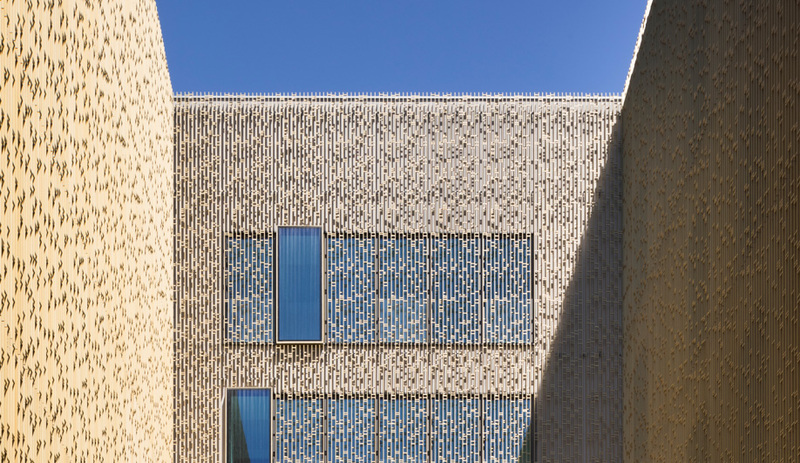 Far from imposing, the facade has a delicate, lace-like appearance that lends a rejuvenating presence to the blocks of housing that encircle it.